Bumble bees on a blue background. My Sunflower Garden is the perfect collection to brighten up your gray day. 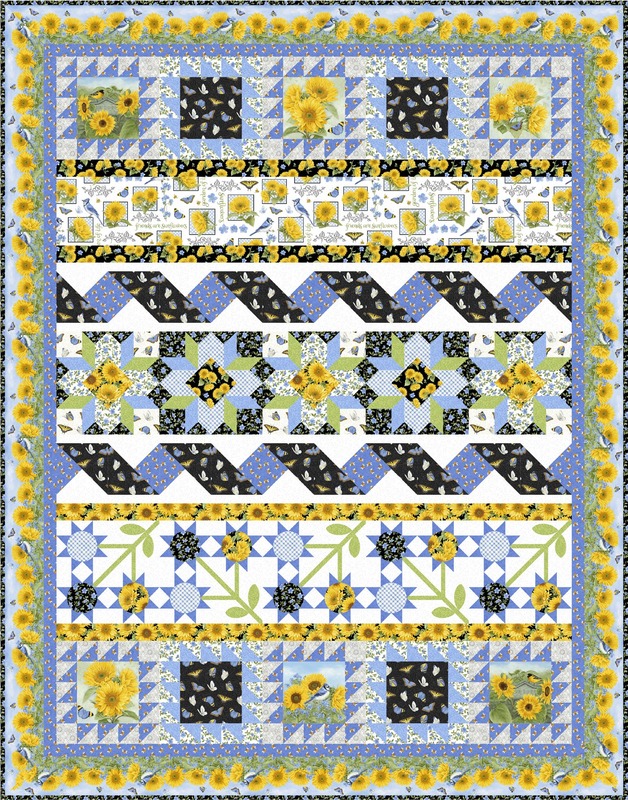 The gorgeous, lush sunflowers, sky blue backgrounds, and butterflies will remind you of a happy sunny day!